It is recommended that you clean your kegerator beer lines after every keg. If you don’t, you could end up with bad tasting beer and what a waste that would be. To help you keep your beer tasting great, we’ve put together the following video to show you exactly how to clean your beer lines. 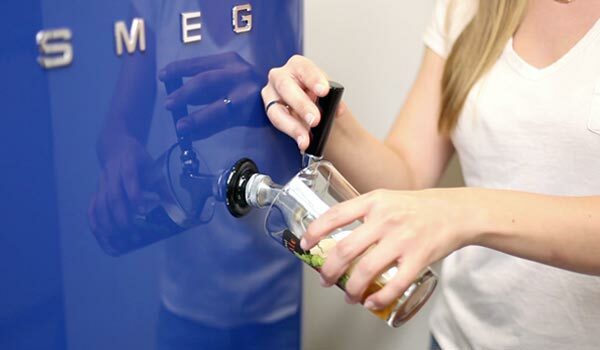 After actually getting your kegerator set up and dispensing, keeping it clean would be the next important step. Don’t have kegerator cleaning materials? Well, we’ve got you covered. 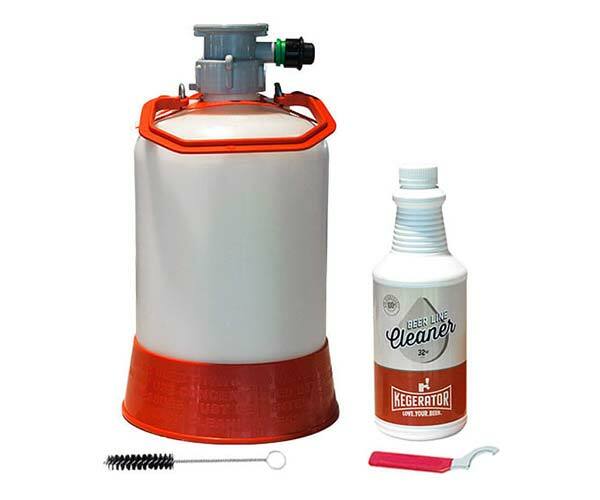 Click here to see all of the cleaning supplies and tools available to keeping your kegerator clean. 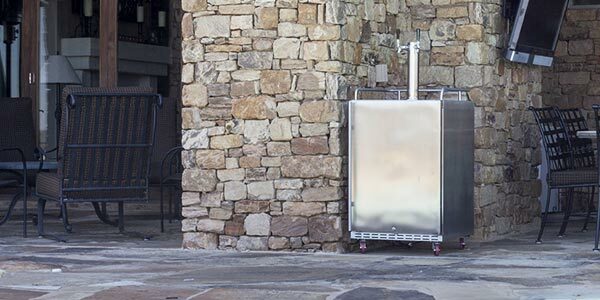 Hi, this is Darin with Kegerator.com, and today we’re going to show you how to clean your kegerator. 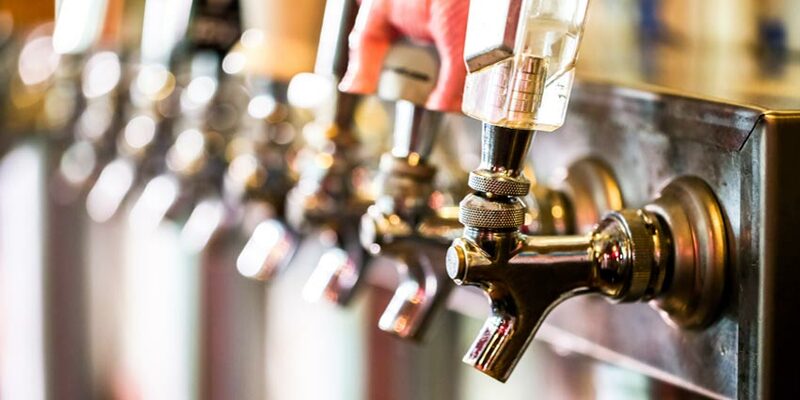 Now the reason you should clean after every use is to take the beer residue from the beer line and the beer faucet to make sure it doesn’t taint your other beers. So what we’re going to do today is clean the faucet area to the line that runs all the way down into your kegerator right here. Okay, so, here are all of the accessories you will need to clean your kegerator. First of all, you’ll have the instruction booklet with you so you’ll know what to do. Then we’ll have the powdered beer line cleaning compound, which will help you clean the beer line more successfully, and it’ll get rid of all of the residue. The bottle here is where we’re going to mix the solution and then pour it into the kegerator. The cleaning hose goes with the bottle, and you’ll just screw it on like that, and pump it into the kegerator. The faucet brush will help you clean all those hard to reach spots on the faucet. 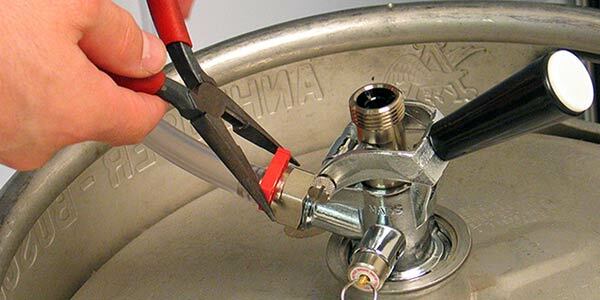 The faucet wrench is going to help you take the faucet off of the beer line and the beer tower so you can easily clean your keg. 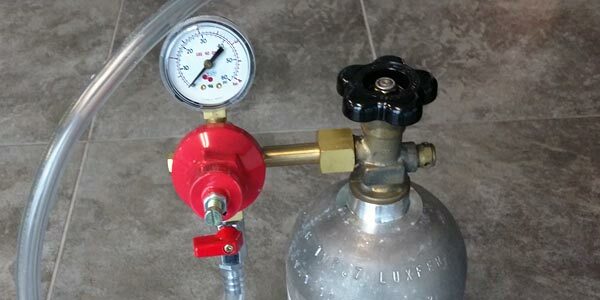 The black rubber gasket will connect to the hose so it won’t leak out. The ball pin helps to relieve the pressure on the coupler so you can clean the line a lot easier. Now I’m going to teach you how to take off the faucet, so you can easily clean your kegerator. So, what you want to remember here is that the general rule for lefty-loosey, righty-tighty is the exact opposite on kegerators. So it’s going to be lefty-tighty, righty-loosey. What we’re going to do it take the faucet wrench, put it in the holes and take it off just like this. Once it gets loose enough, you can just take it off with your hands. 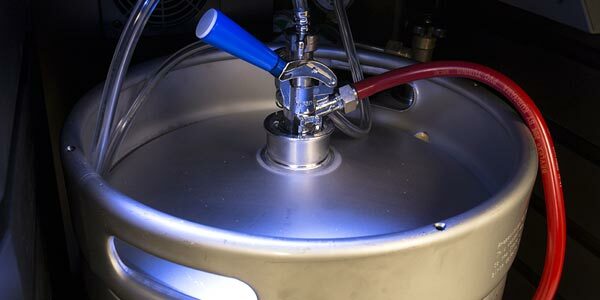 Next, you want to go down to the coupler inside the kegerator, and make sure you have the ball pin, and you’re going to put it into where the keg is tapped by the coupler. You want to make sure you pinch it so it goes in, apply the pressure and it should go in like that. Then, make sure you take out the gas line because you don’t want any water to get into it and just keep it up here. You’ll need a tablespoon of beer line cleaner for every gallon of water to make sure you get the right amount of solution. Pour a little in here. You need to mix it with pretty hot water; I’d say almost scalding hot to make sure the solution does work. So make sure it’s super-hot, then fill up the bottle like so to the top line on the bottle. You’ll see the lines on the side. And then, you’ll want to put the hose on, and now, you’re ready to clean your kegerator. One thing to remember when you clean out your kegerator is you’ll need to have a bucket handy so you can put your keg coupler into there to make sure it leaks out correctly. You don’t want it to go all over the floor and make a mess. You’ll want to take the bottle with the solution in it, take the hose and put it on the faucet head where you took off the faucet that will connect to the beer tower. This will run directly to the line all the way to the keg coupler. When you’re ready, all you have to do is tilt it over and let it go. To make it go faster, you can also just squeeze it and make sure it comes out. 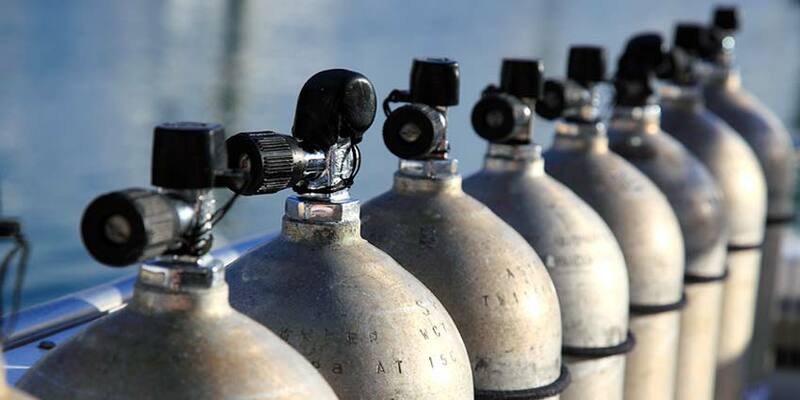 So what you’re going to see at the keg coupler is the water and probably some beer come out. It’s just going to empty into the bucket and this is going to ensure your line is becoming clean as it’s emptying. For a deeper clean, you can flush the line twice this way or you can take the ball pin out from the coupler and just lit it sit in there for an hour or so and it should clean it. Got an old fridge laying around? 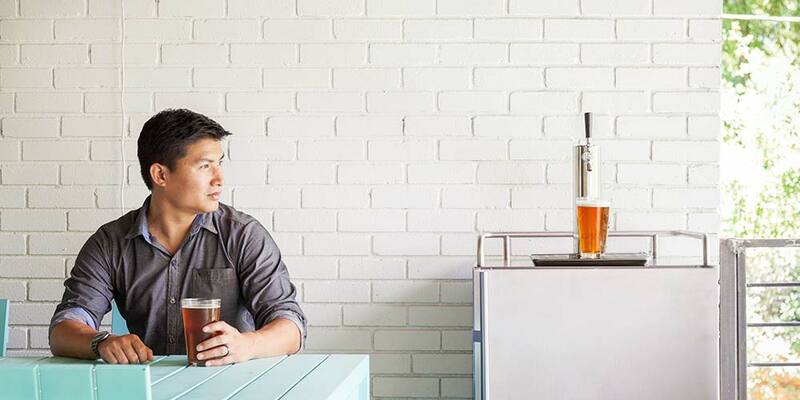 Here’s how you can turn it into a kegerator. Now what you want to do after flushing the line the recommended two times is fill the bottle up with just hot water, no solution, and then flush it just like you did before. The hot water will take away all the residue of the solution and you’re line will be cleaner for that. We also recommend doing this at least two times as well. So for cleaning the faucet, you want to make sure you have the faucet, a bowl to set all the parts in and your faucet brush. Make sure you also have the solution so you’re ready to clean with that. What you’re going to do is you’re going to take the faucet apart. Take the faucet handle out, screw out this part here, then screw that out and make sure these two washers come out like so, because you want to clean them as thoroughly as possible. And then, for the faucet, you want to make sure you push this part out so it comes out like so. You want to put about a teaspoon to a tablespoon of beer line cleaner in the bowl, add scalding hot water (make sure it’s a good temperature) and you want to fill the bowl with the water. Then you want to make sure the powder is all dissolved into the water, so I’m going to stir it a bit. And then, you’re going to set the faucet in the bowl along with all the parts. Don’t forget the washers; they’re important too. You want to make sure they’re all sitting there and you probably want to keep it there for 30 minutes to an hour. Just to make sure it soaks and gets all of the beer residue out from the faucet. About 30 minutes to an hour later, you’re going to take the faucet itself and take the brush and just clean it through like that. Get all of the residue out so do it thoroughly. Then do it down here as well to make sure you clean the whole faucet through. And just one more go around to make sure. And then, you want to empty the water from the parts. Make sure you do not flush any of the parts down the sink. What you want to do is make sure this hole is lined up to go right here, so you’ll push it all the way through like so and you’ll see the hole right in there. And then, you’ll take the handle and stick that piece into the hole you put just in there. Make sure the white washer goes down like so, followed by the black washer. Then you’ll screw the handle on to the faucet itself. Make sure to not tighten it all the way because you want the handle to be a little loose when you pour the beer. Then screw the second part on and make sure also this is a little loose. Not too loose, but not too tight either. And then the tap handle, and you have your faucet. So when you’re ready to put all of the accessories back on you want to make sure the bottle and hose are removed from the beer tower. And then also make sure that the ball pin is out of the coupler. And you’re ready to assemble it back together. When you put the faucet back on make sure that lefty is tighty – remember that. Then take the faucet wrench and make sure you tighten it on correctly. You can do this one of two ways: you can either put the faucet at an angle so you can get an even pour or you can put it up the traditional way, just straight up. You want to make sure it’s tightened, so the beer doesn’t come out. 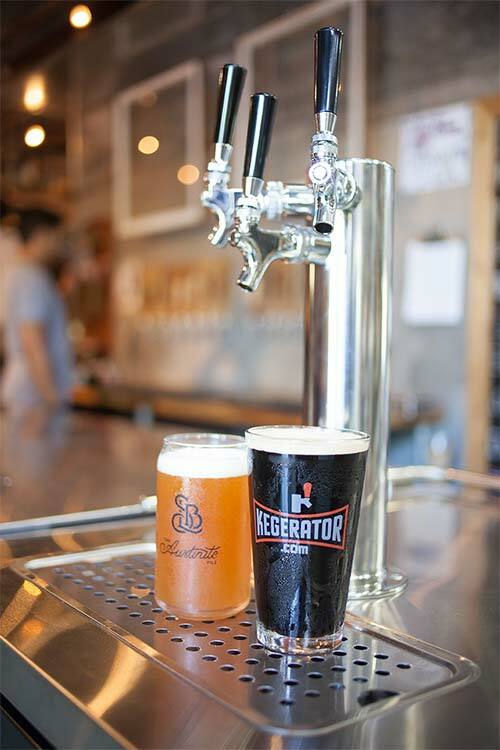 So after you clean your kegerator, you are now ready to enjoy a new keg of fresh draft beer. It doesnt take 30 minutes to 1 hour to clean a faucet, it should take a few minutes, you dont have to let it sit for so long unless you only clean it twice a year, your suggestion is overkill. Just let it soak in hot water, brush, and resemble… I clean lines for a living, if I waited that long to clean a faucet I would never get anything done! Hi – I purchased a summit SBC635mBI about 2 years ago. I have never felt very comfortable with instruction manual for the couplings between the tap to the beer tower and for each line to the gas and the barrel respectively. The instruction manual doesn’t say what washers are required where. 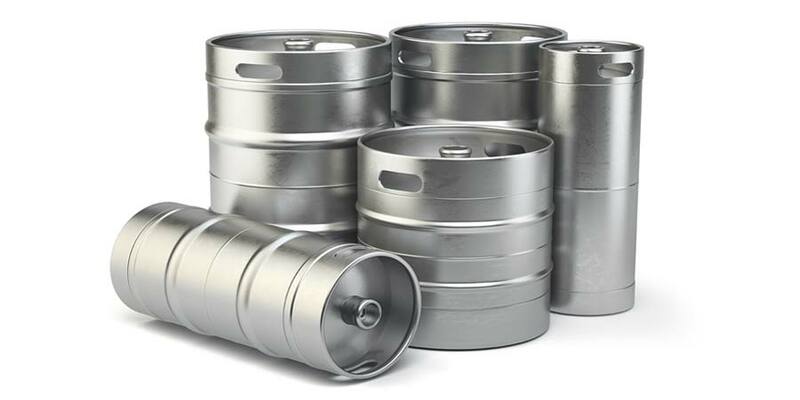 There is one particular white washer/rubber bung that I believe goes in the gas line to the barrel coupler but there is only one of everything and as I have a 2 tap keg. Please could you provide more detailed descriptions and Pics of what washers in which couplings/connectors? 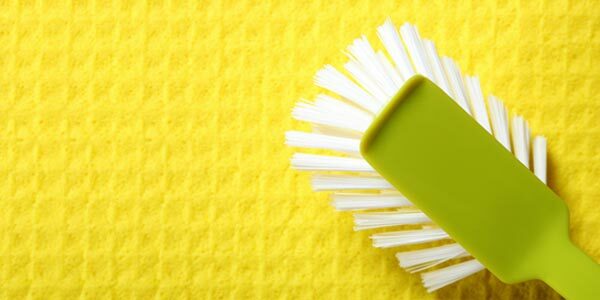 How do I know which cleaning kit to buy?